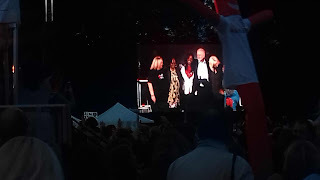 In Brighton this evening Jeremy Corbyn, supported by John McDonell, Jenny Formby, Martha Osamor and others, spoke to a monster rally, the largest rally I can ever remember on The Level, the traditional rallying place of the labour movement in Brighton. 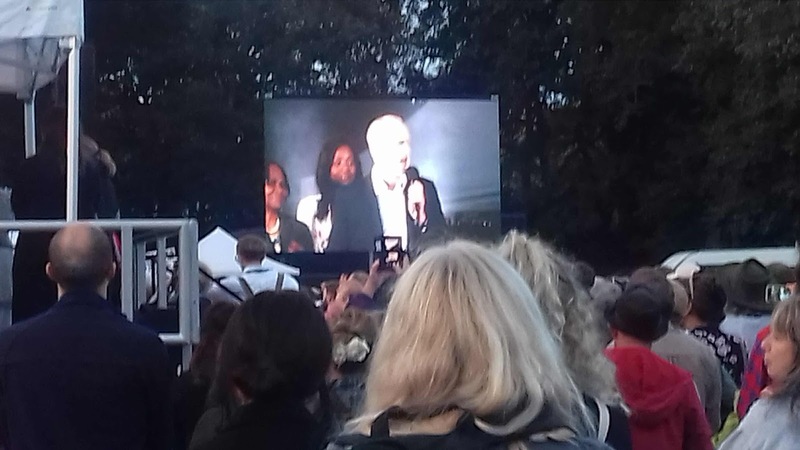 After warm-up speeches by the above named, Jeremy Corbyn took the stage for a competent speech about placing people before profit. Corbyn will never make a fine orator but the content was sound. What was disconcerting though was what he left out. It's all very well to talk about abolishing tuition fees and nationalising the railways, but to do that you have to gain control of your party and there is precious little sign of that. For all the talk about a kinder politics there comes a time when you have to take control of the Blairite civil services which is bending the rules blatantly in order to favour, wherever possible, the Right in the Party. 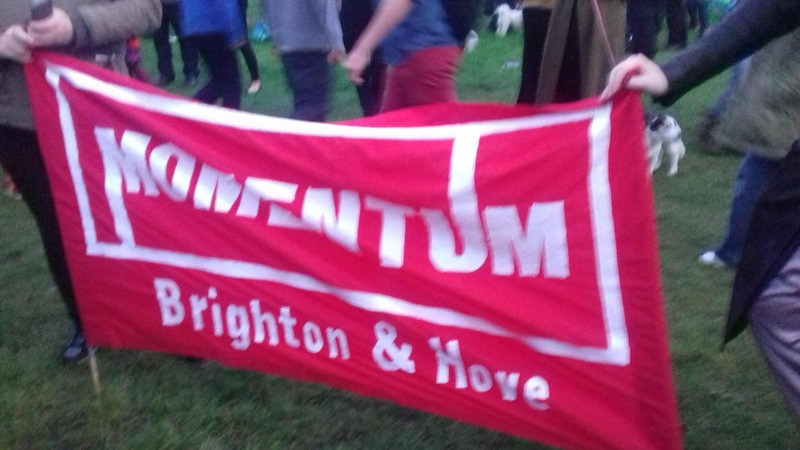 Tomorrow there is a demonstration outside the Conference against Iain McNicol, the plug ugly General Secretary who has engineered in conjunction with the Compliance Unit the suspension and expulsion of thousands of members. 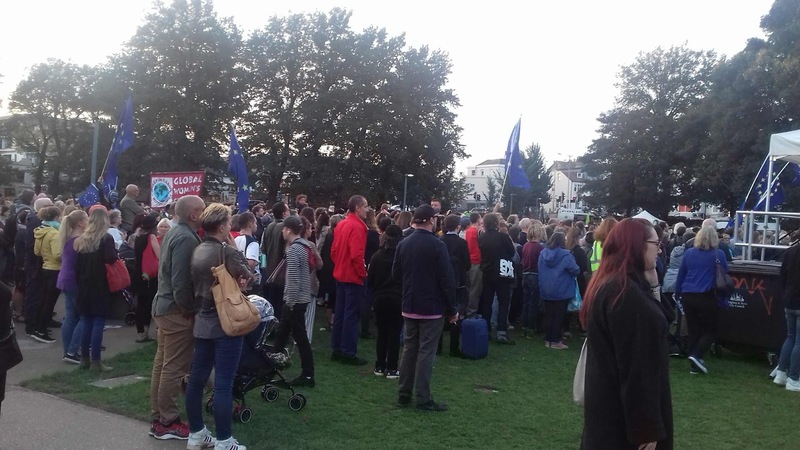 It is about time that Corbyn had the bottle to call time on Crooked McNicol. 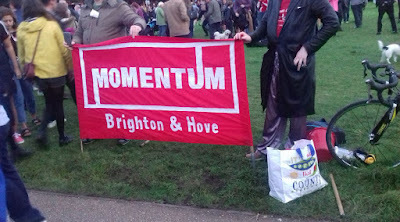 Brighton Momentum held a showing of a Fire Brigades Union film at Cafe Plenty after the rally. It showed the visit of an FBU delegation to their counterparts on the West Bank - Nablus, Hebron and Ramallah. It was a powerful film and showed that firefighters in the Occupied Territories have to fight both the occupation and fires. With the barest of equipment they go out daily to tackle fires, often caused by Israeli soldiers firing flares and munitions. We were shown the injuries to one firefighter when Israeli soldiers opened fire on a fire engine, wounding a firefighter. We were also shown a visit to their Israeli counterparts in Israel who have all the latest equipment. There was a time when Corbyn was an ardent supporter of the Palestinians. 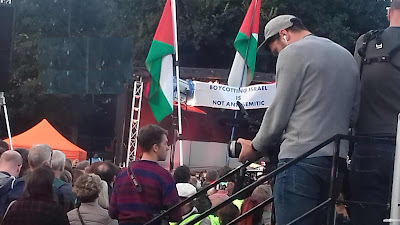 Mark MacDonald QC of Labour Friends of Palestine spoke. 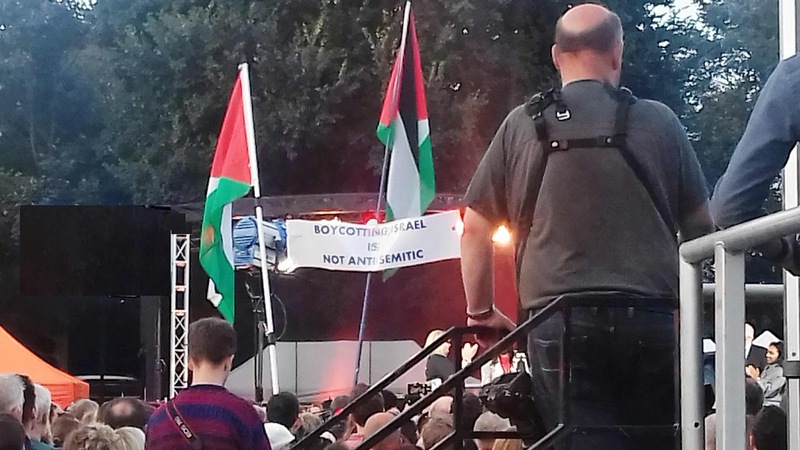 LFP is a pretty weak and wet group, mainly concerned with irrelevancies like the recognition of the non-existent state of Palestine. It is a group with a number of MPs, like Stephen Twigg, who are or have been sponsors of Labour Friends of Israel. 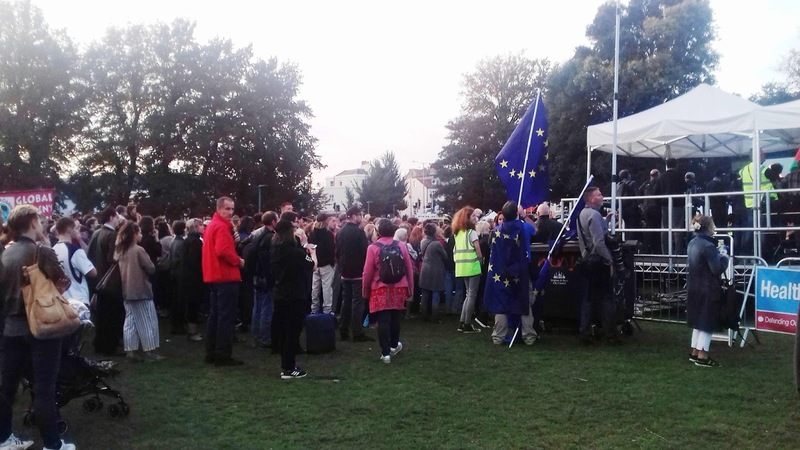 Yet it was instructive that Mark told how for the first time in years Corbyn would no longer speak at their fringe rally, whereas he is due to speak at Labour Friends of Israel. 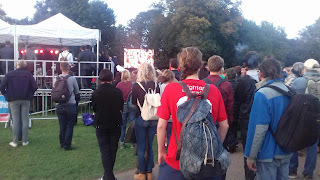 Mark also described how Corbyn now has regular meetings with Mark Regev, Israel's Ambassador and the man who fronted the PR campaign to whitewash Israel's genocidal attack on Gaza in 2014. Corbyn's flirtations with the pro-Israel lobby are a disgrace. Supporting Israel means supporting US foreign policy and that means its interventions in the Middle East. 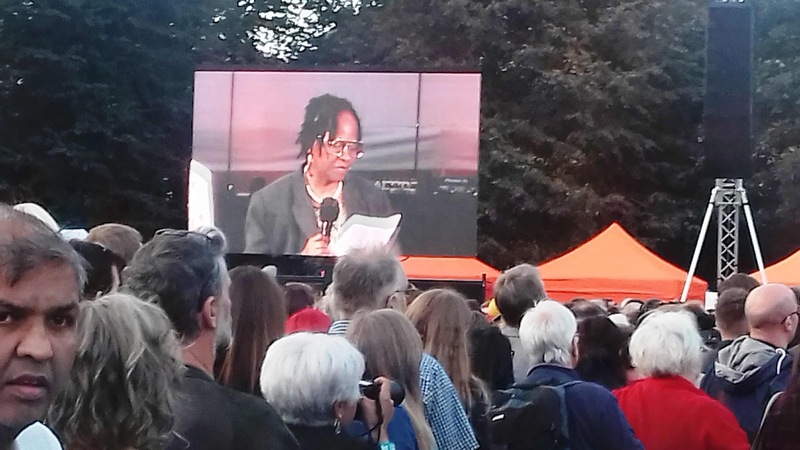 If a Labour Government is truly going to strike out then it has to break with US imperialism and its destruction of states and alliances with repressive states such as Saudia Arabia, Egypt and Israel. Corbyn above all knows that Israel is an apartheid state having been involved in Palestinian politics for over 30 years. The fact that he is retreating on Palestine does not augur well for when and if he takes office. Instead of standing up against the false anti-Semitism campaign that has meant supporters of Palestine have been suspended and witch hunted as anti-Semites Corbyn has gone along with it. At least in the rally, there was a prominent banner that said that to support the Boycott of Israel is not anti-Semitic.